Composting process allows efficient circulation of organic matter, reducing waste quantities taken to landfills, creates natural fertilizer that could be used in the cultivation of healthier foods, and helps in achieving a significant economic effect – creation of new jobs. The application of compost is helpful in more vays. Its most significant role is enriching the soil with organic matter, which represent food for living organisms, and increases its quality and stability. 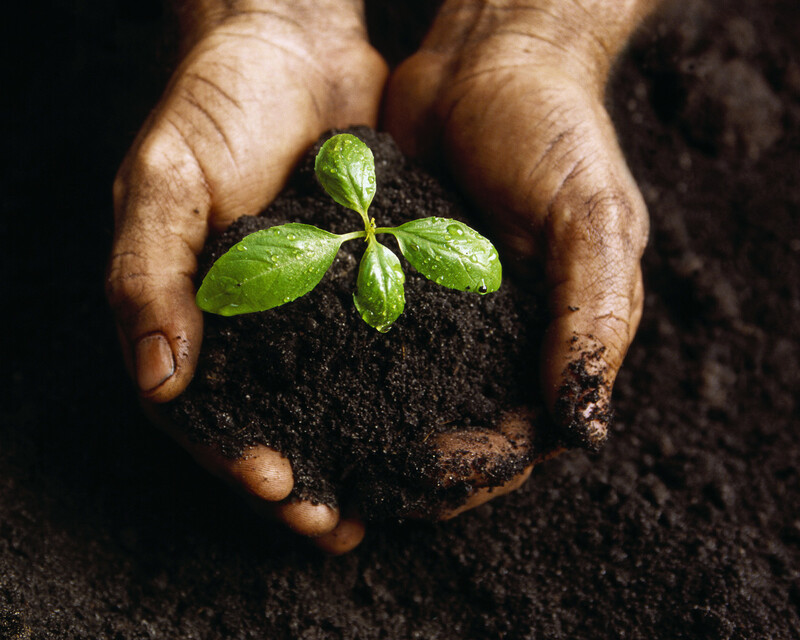 Compost feeds the plants, allowing ventilation of the soil, retains water, reduces erosion and provides an increased capacity to retain moisture. Because of all this, the compost should be applied whenever possible in orchards, gardens, nurseries, parks, green spaces, etc..
– Compost reduces erosion of the land. There is no waste separation in the Republic of Macedonia or such activities are in infancy, so all waste is taken to landfills. That is how large quantities of secondary raw materials are irreversibly destroyed, and uncontrolled decomposition of organic waste causes multiple harmful consequences. With the introduction of simple measures of separation and reuse of secondary raw materials, as well as composting of organic waste we may greatly contribute to the preservation of our small ecological oasis. Therefore we must all give support to the development and strengthening of the environmental consciousness of citizens, the application of existing legislation in the field of environmental protection, as well as strengthening the infrastructure. Can we count on your involvement?